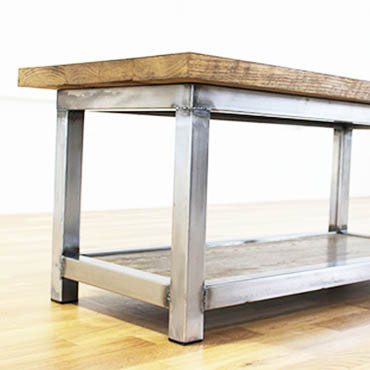 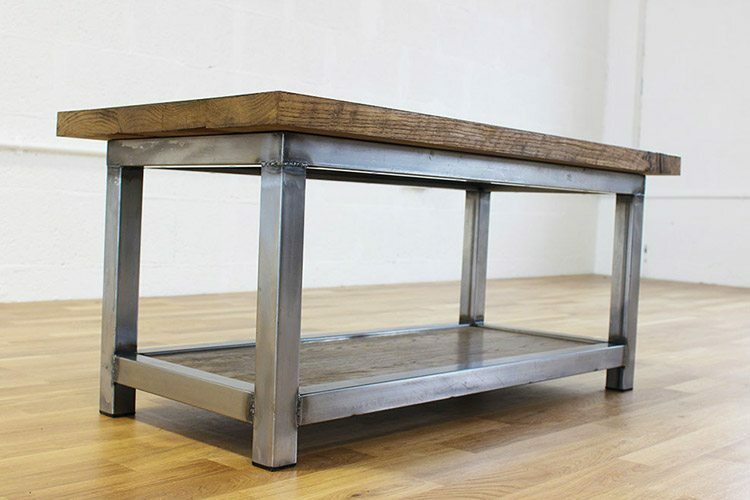 This stunning Wadsworth vintage style industrial coffee table is adaptable to conveniently suit any situation! 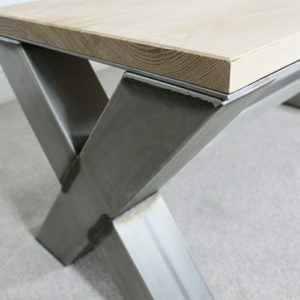 The solid one-piece oak top as shown on the images will come standard as 25mm thick. 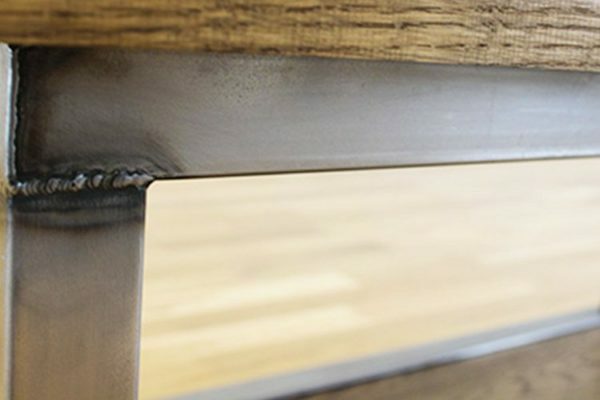 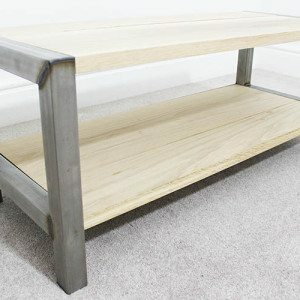 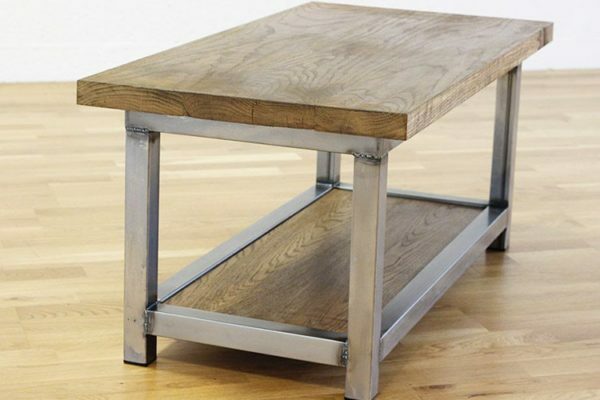 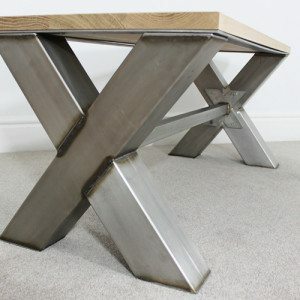 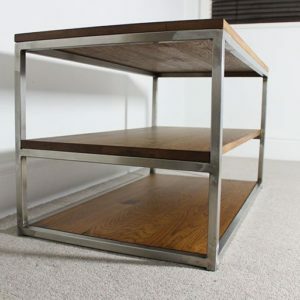 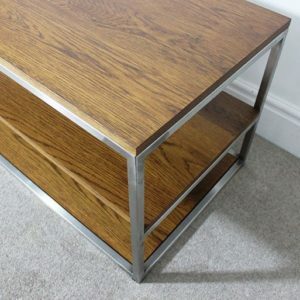 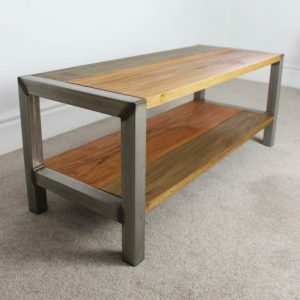 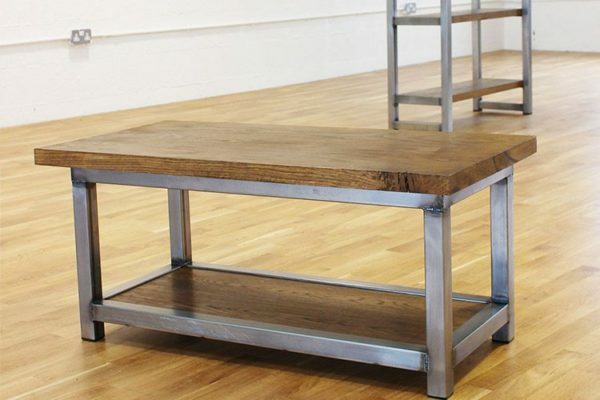 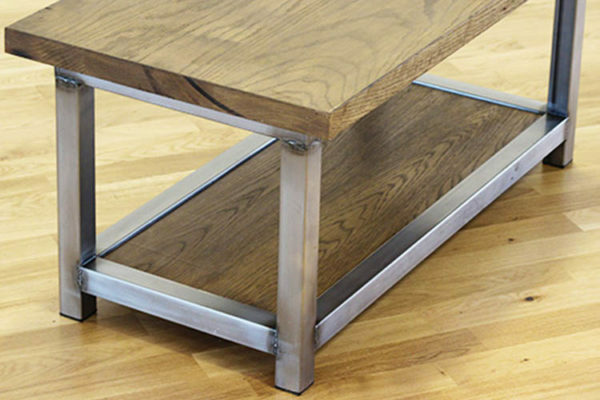 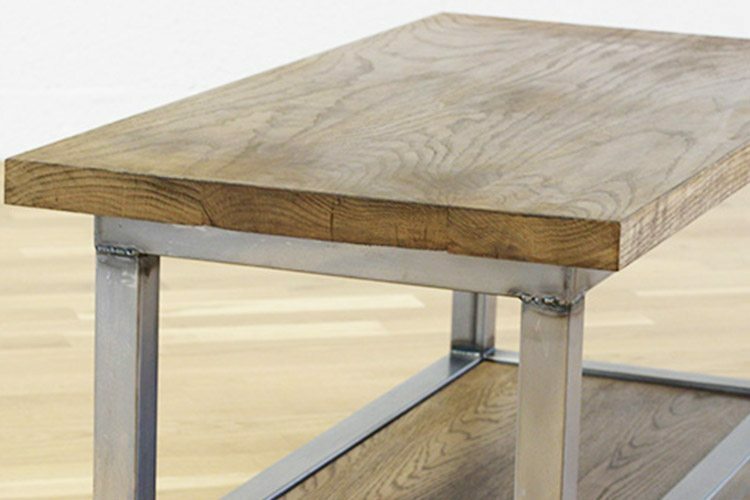 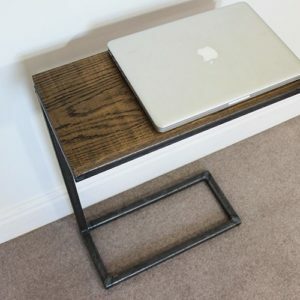 This features a thick solid oak top sitting on a steel frame with another solid oak piece which sits flush with the steel on the second layer. 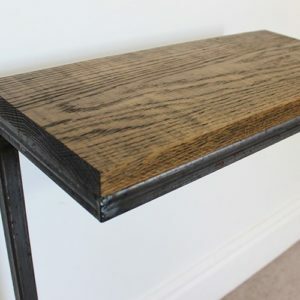 Antique Oak dye has been applied to the wood in this example.